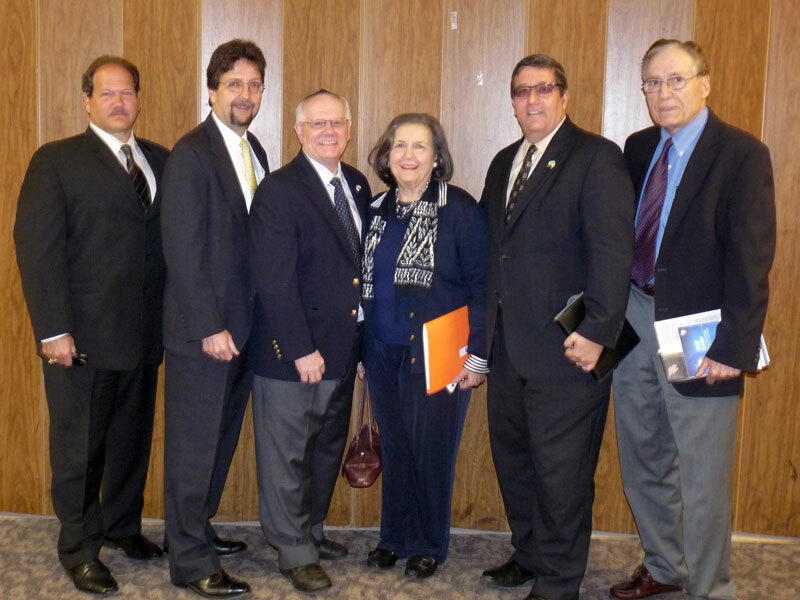 A national effort to increase security awareness at Jewish facilities came to New Jersey, bringing together national and state law enforcement officials and representatives of synagogues, Jewish family service agencies, day schools, and other institutions from across the state. Meeting at the East Brunswick Jewish Center June 14, Jewish leaders and representatives of the state and national offices of Homeland Security stressed that institutions need to balance the desire to be open and welcoming with a need for vigilance. The conference was hosted by SCN, the nonprofit security initiative of the Jewish Federations of North America and the Conference of Presidents of Major American Jewish Organizations. 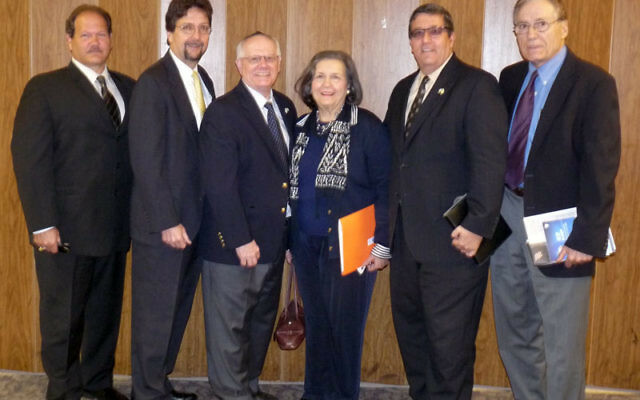 Cosponsors included the New Jersey State Association of Jewish Federations, the Anti-Defamation League, the Orthodox Union, and Agudath Israel. The conference was held just days after the kick-off of a national initiative, “If You See Something, Say Something.” The national SCN network — which includes the 52 organizations of the Presidents’ Conference; 157 JFNA members; 350 JCCs, YM-YWHAs, and camps associated with Jewish Community Centers Association; and the synagogues, rabbinic arms, and schools associated with the four major religious streams — was announced by federal Homeland Security Secretary Janet Napolitano at a White House meeting June 10 with Jewish leaders. The initiative is the federal department’s first with a faith-based group. He outlined several incidents in which citizen alertness headed off disaster, including a store clerk’s tip that led to arrest of six men accused of planning a terrorist attack on Fort Dix in New Jersey. The state office, which handles manmade and natural disasters, such as a nuclear meltdown or hurricane, has found that few institutions or residents are prepared to handle a disaster or act of terrorism. Most don’t have a plan of evacuation or action or even know where their children would be taken if something happened during school hours, said McKenna. Brown said signs of a potential terrorist threat include menacing e-mails, stolen uniforms, unfamiliar visitors, attempts to elicit information over the phone about the institution or its leaders, or acts meant to test security procedures — such as leaving a car parked in an unauthorized spot for a long period. Steven Sheinberg, associate director of ADL’s civil rights division, said synagogues and Jewish institutions often overlook some security basics, like easy-to-guess codes. “I guarantee you I can break into a quarter of the Jewish institutions in America by typing in the code 613,” said Sheinberg, speculating that the number of mitzvot in the Torah is what many would choose. Institutions, he said, should have a “24/7 grid” making sure someone is responsible for locking doors and windows, setting the alarm, and turning on outside lighting. Some information posted on synagogue websites is also “troubling,” including floor plans for social halls and names and personal information of members and officers. “If you are going to take a risk, do it knowingly,” said Sheinberg. “Leaving your synagogue doors open on Shabbat is a bad risk, but know why you are doing it and the risk involved. Representatives of attending institutions said they found the information offered valuable. New Jersey maintains a 24-hour, toll-free terrorism hotline, 1-866-4-SAFE-NJ (866-472-3365). Tips can also be sent to tips@njhomelandsecurity.gov.